Quan is a humble London businessman whose long-buried past erupts in a revenge-fueled vendetta when the only person left for him to love -- his teenage daughter -- dies in a senseless act of politically motivated terrorism. His relentless search to find the terrorists leads to a cat-and-mouse conflict with a British government official whose own past may hold the clues to the identities of the elusive killers. 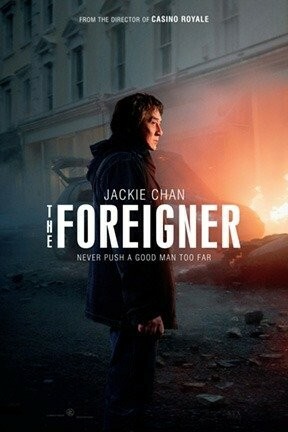 The Foreigner is not showing in any theaters in the area.